The returnees arrived in a chartered Novelle Air flight at the Murtala Muhammad International Airport, Lagos at around 6:15 and said they were excited to be home. There were also three medical cases among the returnees who were treated by IOM doctors and Port Health officials. The National Emergency Management Agency, Deputy Director in charge of Search and Rescue, Dr. Bandele Onimode, who received the returnees on behalf of NEMA, disclosed that 654 Nigerians had been assisted back home this year while 867 were repatriated in 2016. He said the agency was in touch with state governments of the returnees to assist in their rehabilitation process. A spokesperson for IOM Nigeria, Julia Burpee, who came in from the organisation’s head office in Maiduguri, with some officials of the United Nations Organisation, said more than 7,000 Nigerians had been supported since 2002. She said IOM would continue to work with its partners in Nigeria to assist stranded Nigerians all over the world. 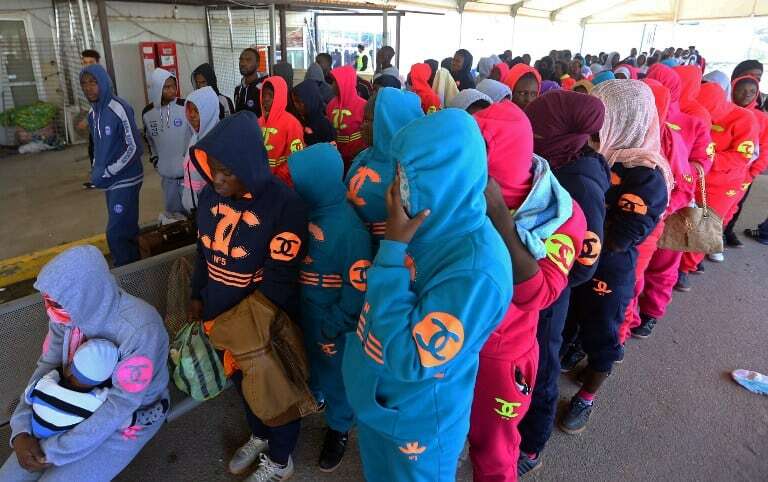 0 Response to "155 More Nigerians Repatriated From Libya"